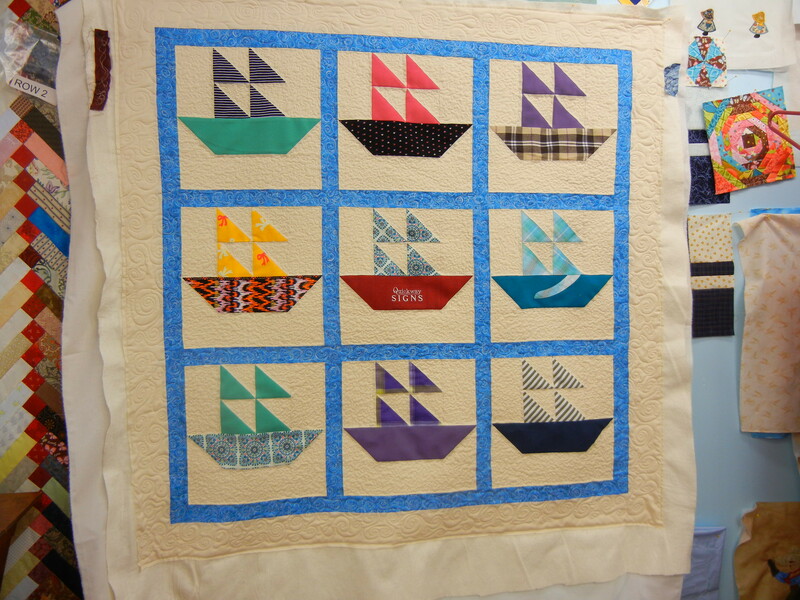 This darling sailboat memory wall quilt, made by Gloria D. for a customer, presented a number of interesting challenges, as its boats were made primarily from knit materials. It came on and off the frame twice, and was the subject of some consternation — but in the end it sailed off into the sunset looking good. In the process, I learned some things, which is always fun — and more importantly had ample time to pray for the child whose memories of his mother will be preserved in this quilt, made from her garments.